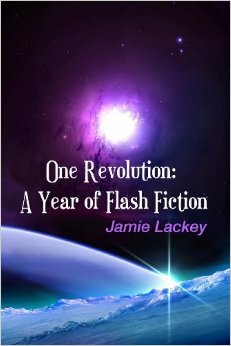 One Revolution is my Kickstarter-funded short story collection. 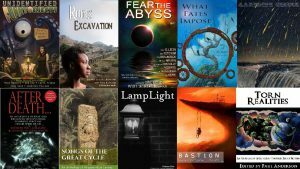 Run the gamut from fantasy to science fiction to horror, and back again. Within these pages, you’ll find blood sport set in space, fairies dancing in the firelight, bank robbery in a cyberpunk noir world, coming-of-age on Mars, a zombie shark, and much more. The book contains twenty flash fiction pieces and one serialized short story and is available to purchase HERE.